A testament to engineering work completed more than a century ago, the Bernina Express was designed to conquer the majestic Alps and its surreal scenery. 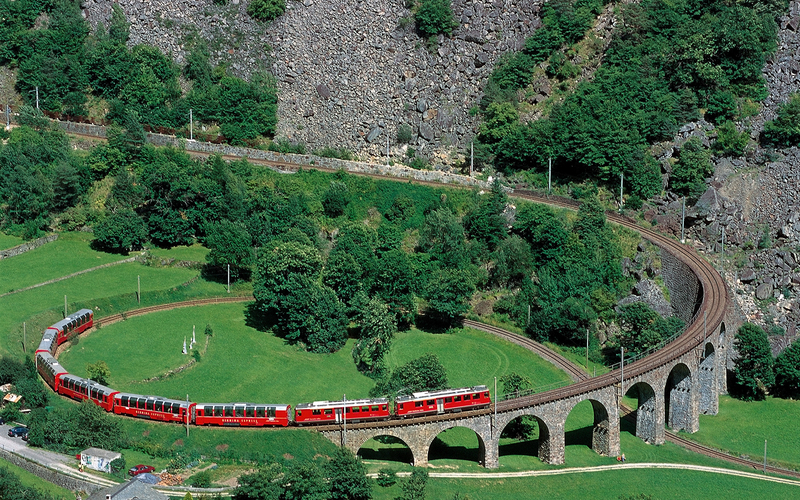 Popularly called ‘The Little Red Train’, the Bernina Pass route has a UNESCO World Heritage status owing to its magnificent beauty and mesmerizing experience it provides. Undoubtedly, one of the most picturesque journeys by rail, this route appeals to everyone who has ever been on it. On this experience which takes you across international borders, you’ll also be able to learn about the region with a local guide. Around a 12-hour experience, each minute of which is exciting, relaxing and charming, this tour is a must-do activity in Milan and the perfect day trip from Milan, where you can enjoy the unparalleled beauty of nature and take in magical sights that most don’t ever get to experience in their lives. Hop aboard the Bernina Express in Milan and prepare yourself for a visual journey unlike any other. The speed of the train, the magic of the landscape and the beauty of the route all combine to give you the perfect rail experience. Snake through the Swiss Alps in a thrilling ride that takes you across the palms of Tirano, over the breathtaking spiral Brusio viaduct, through the Bernina Pass and more. With plunging gorges, glaciers, soaring bridges and looping tunnels, this train journey is an experience which makes you feel rejuvenated and recharged. The destination of this journey is as pretty as the UNESCO World Heritage route. 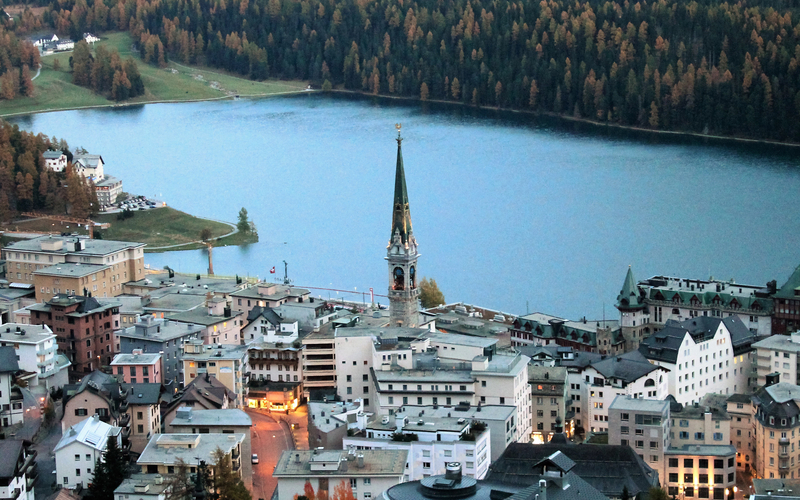 St. Moritz, an alpine wonderland, is famous for its Swiss luxuries. Stroll through the quaint streets and take in the tempting cafes and chocolate houses on your way to the lake. After spending some time taking in the city and its sights, it's time to board an air-conditioned coach back to Milan. Don’t worry, the route this time is equally scenic and will offer you plenty of mesmerizing visuals. Through the journey, your guide will be providing commentary on the sights you see and will narrate stories from the region. You can also ask your guide for suggestions on activities you can do, dining options or anything else you might have in mind. A professional guide will be with you through the journey providing commentary on the sites you see and the region in general. Return to Milan by an air-conditioned coach. Take in the breathtaking scenery all around you as you make your way back. The tour starts at 7 AM on Saturdays and Tuesdays and goes on for a duration of 13 hours. Please arrive at least 15-20 minutes prior to ensure a hassle-free boarding process. You should be back in Milan by 8:30 PM. Please wear comfortable walking shoes and warm clothing as it remains pretty cold in St. Moritz all-year long. All customers are required to carry their passport/travel document with them on this tour. In addition, it is customer’s responsibility to ensure they have the correct Visa to enter Switzerland. Customers holding passports from a non-EU country will need a Schengen Visa which they can obtain on entry to an EU country. Without the correct Visa, customers will not be allowed to enter Switzerland. 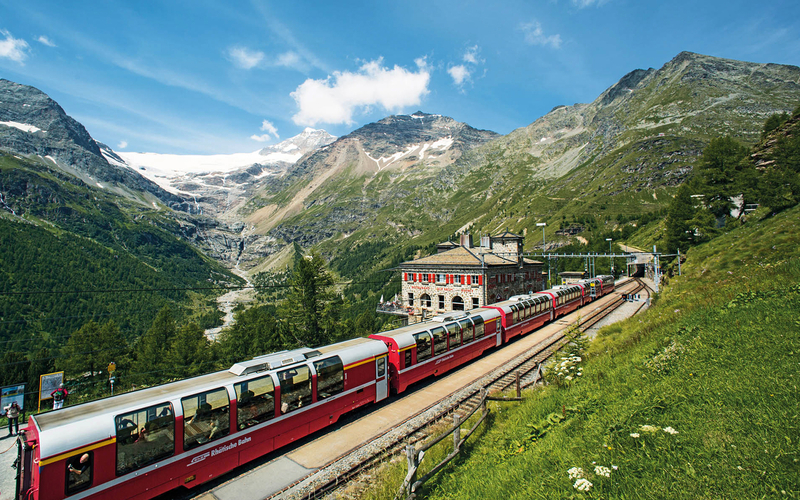 The Bernina Express Train - One Day Trip to the Swiss Alps from Milan tickets are valid only for the date from which you’ve scheduled the booking. You will receive an email with the Bernina Express Train - One Day Trip to the Swiss Alps from Milan ticket voucher shortly. No need to print. Simply display the e-voucher to the tour guide at the meeting point of the tour (Largo Cairoli 18, at the corner with Via Cusani) and join the tour group.